Sometimes we overlook the obvious. Cheers! Cheers, much appreciated, thank you! Thank you, Mike! That is precisely the reason I quit my job. What a great quote and a terrific photo. Thanks Susan, I love that quote! Unfortunately, it is very true. I’ve always really liked this quote. Truth, indeed. That is spot on….love it! Cheers, thanks for saying so! 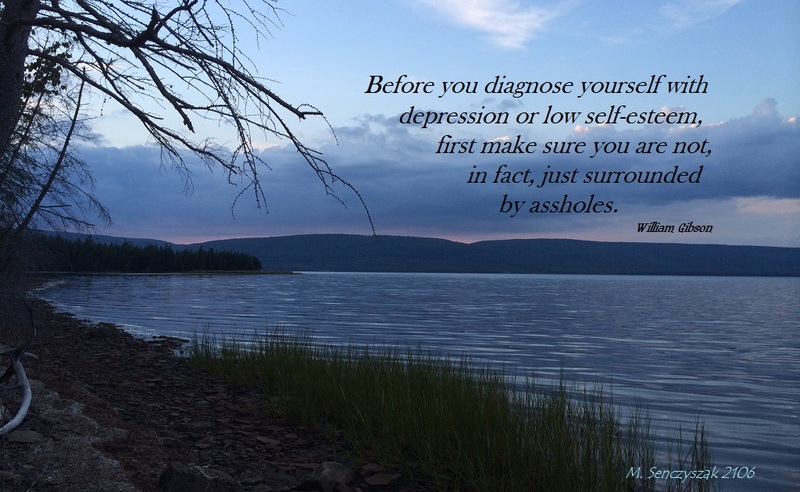 Mike, I forgot to say (when I first saw your post) that you were too late in telling me, I had already diagnosed myself of having depression. Hahaha! I must do as Susan did. 😊 May I please share this? Absolutely, please share! I only recently came across this quote and loved it. You may have to re-think who you were surrounded with when you diagnosed, might clear some things up! Thanks for commenting Anne! Excellent, I appreciate the share!